Mary Land has over 10 years experience in the healthcare field having transitioned to an emergency medical technician following a life changing medical call during her time as a volunteer fire fighter. Since then, Mary’s experience has spanned a wide variety of specialties including emergency medicine, public safety, general surgery, primary care and rural health, pain management, and gastroenterology. 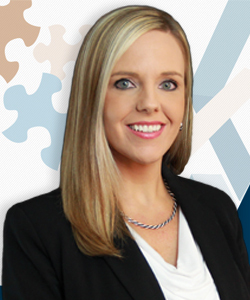 As an operations and logistics-minded manager, she enjoys focusing on streamlining workflow processes, successful team building, revenue management, and monitoring insurance claim payments. While working with the general surgery group, Mary led the implementation and conversion of the three-physician practice to an electronic medical records system and was responsible for establishing a reputation management program to enhance their presence on the internet and social media. These accomplishments were in addition to the routine tasks of managing claim denials, patient collections, charge entry, and daily patient care. Her tenure with primary care afforded Mary the opportunity to navigate the process of obtaining certification from CMS as a rural health clinic while revamping policies and procedures in order to bring the clinic up to current standards of compliance and converting from one EMR system to another. While there she also produced and implemented a prescription drug monitoring program to ensure compliance with all state and federal laws. Mary is a member of MGMA, maintains a valid Florida EMT license (including BLS certification), and volunteers with several local organizations. In addition, Mary also holds a number of certifications related to Incident Command Systems and National Incident Management System, which are both governed by the Federal Emergency Management Agency (FEMA). She has extensive training and experience related to initial response, triage, and command setup during a mass casualty incident (MCI), as well as a solid understanding of emergency operations, management, and preparedness involving natural disasters (multiple hurricanes and moderate-sized wildfires).